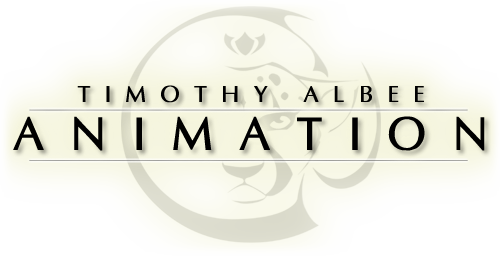 This policy explains in detail how "Timothy Albee Animation" along with its affiliated companies (hereinafter "we", "us", "our", "TA-Animation.com", "http://www.ta-animation.com") use any information collected during any session of usage by you (hereinafter "your information"). Your information is collected in two ways. Firstly, browsing "TA-Animation.com" will cause some pages of the web site to create a cookie, which is a small text file that is downloaded on to your computer’s web browser temporary files. This cookie just contains an anonymous session identifier (hereinafter "session-id"), automatically assigned to you by the PHP software. It is used to temporarily store your information so that it can be accessed by "TA-Animation.com". The second way in which we collect your information is by what you submit to us. This can be but is not limited to submitting information via a web form. In addition to the information you submit, your IP address will be collected and submitted automatically. Your information at "TA-Animation.com" is protected by data-protection laws applicable in the country that hosts us. The information you submit will be used only as indicated when you are requested to submit it. Your IP address will only be used to help fight spam and other malicious submitions. Your information will not be disclosed to any third party for any reason except when required by law.